Before investing more money and time into another market segmentation research effort that may or may not produce helpful results, Kevin Clancy suggests marketers consider doing a market segmentation audit first. • Make future efforts more relevant and useful. 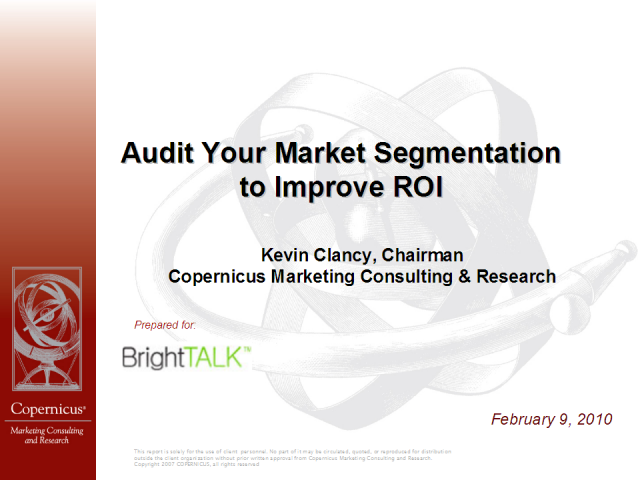 Kevin will give marketers an overview of the basics of doing market segmentation audit. He will offer suggestions for documents and processes to review, as well as factors indicative of an actionable market segmentation to consider.